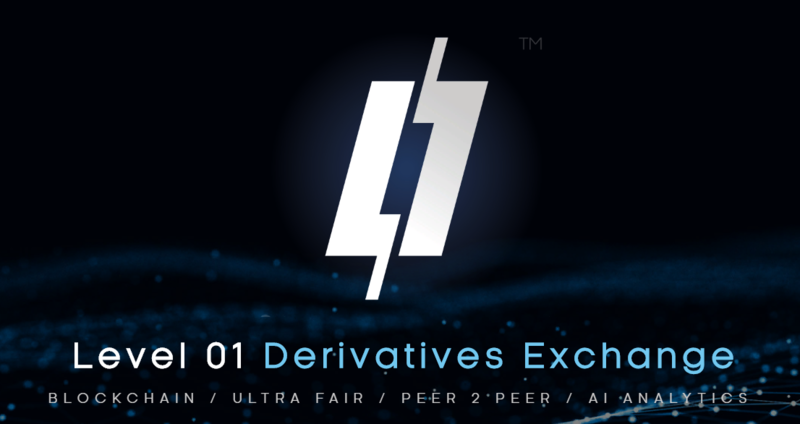 Level01 is a peer-to-peer (P2P) derivatives exchange that allows investors to trade option contracts directly one-to-one, without the intervention of an intermediary or broker. Level01 combines distributed Ledger (DLT) technology with a transparent and automated blockchain, with artificial intelligence (AI) of dynamic fair value pricing Analytics for counterparties based on current and retrospective market data. All this together will allow investors to fully focus on trading activities. The Level01 platform promotes transparency and equity, and is designed to provide the most fair, efficient level of trading on the marketplace for retail and commercial investors. Peer to peer (P2P) trading involves two parties interacting directly with each other in the execution of trade transactions. Since the third party is not involved, there may be circumstances of non-fulfillment of obligations by one or another party when making a trade transaction. Trading through a broker is conducted by an intermediary for more efficient trading, but exposes investors and their funds to other types of risks and exposures, such as excessive transaction fees, delayed withdrawals, market manipulation, broker-trading against clients, or exchange attacks. 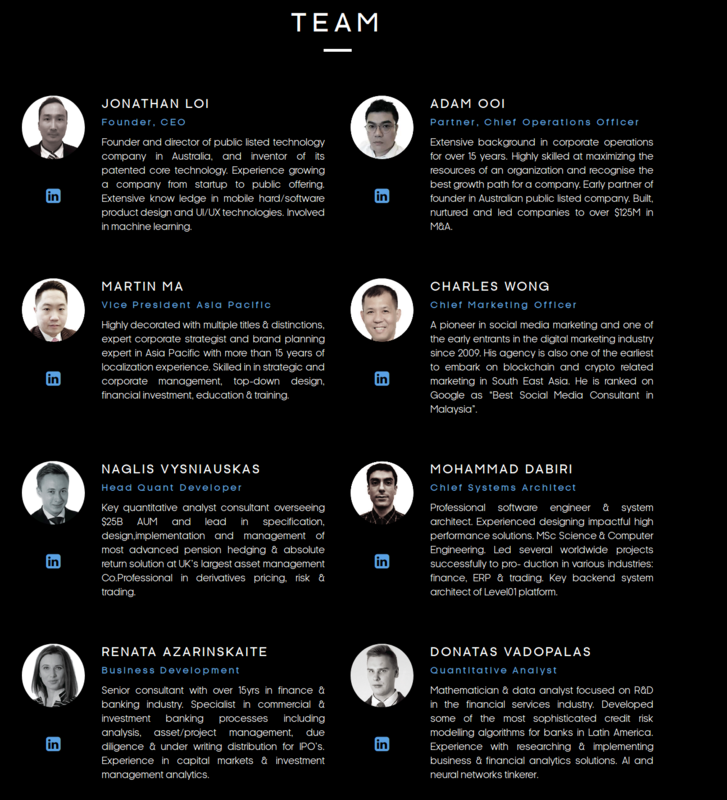 Level01 uses smart contracts and blockchain technology of automated p2p trading payments, effectively solving problems of trust and non-execution of tasks; allowing investors to bypass the negative aspects of centralized brokerage. The Level01 mobile/web app allows investors to interact directly with each other to trade. When an option contract is matched with a business partner, all parameters are sent to the Level01 smart contract on the blockchain. The smart contract receives permission from both parties in order to perform a trade settlement at the expiration of the option contract. Blockchain is a digital, decentralized, public book popularized with the help of the well-known cryptocurrency Bitcoin. Also known as distributed Ledger Technology (DLT). Blockchain is an immutable method of data storage. This makes it ideal for auditing and storing transactions. The architecture of Level01 uses blockchain technology to perform automatic trading calculations and allows you to make a profit immediately. These operations are carried out impartially, independently using mini-programs on the Ethereum blockchain called smart contracts. FairSense is a basic Level01 technology that is developed using cross-flow Analytics, which is typically only available to institutional organizations. FairSense automatically helps investors evaluate the fair value of the contracts they seek to trade and constantly updates their bid or offer price with respect to the implied value, thus offering a fair value to both parties of the transaction that is accurately adjusted every second by the current market conditions. 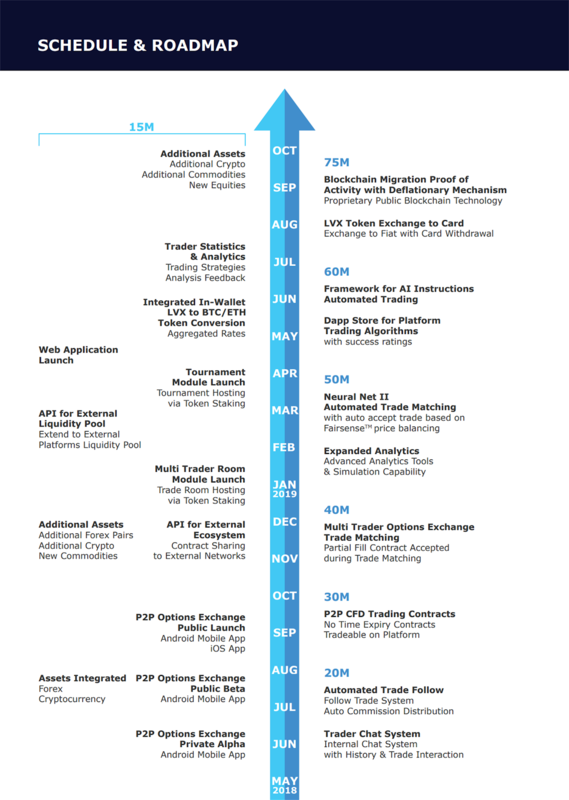 FairSense algorithms observe and alternate real-time cross-market variables in the most liquid financial markets, which provide the most stable market prices, allowing investors to trade consistently, providing improved liquidity and price discovery on the peer-to-peer exchange Level01. Broker trading platforms have been beleaguered with trust issues. This is especially so among the smaller, less known entities and one of the reasons there have been more stringent regulatory actions on the industry. Despite the fact that the internet has facilitated ease of trades, there are grey areas that may not be covered by regulations which are exploited, thereby creating mistrust among investors. Such situations are seen when the target is bottom-line and not clients’ satisfaction. Issues such as late execution of trades cause investors losses, while the confidence they have for the exchange is shaken, yet this is not an uncommon occurrence. There also have been reported cases of mismanagement of clients’ funds or fraudulent use of these funds. Other challenges the industry has had are delays in processing of funds and introduction of hidden charges to the traders and users of the exchanges. Level01 has taken advantage of the fact that the distributed ledger technology can be used to build smart contracts that are self-executing, transparent and can be trusted by all parties involved. These attributes are what the project leverages to eliminate the issues of human fallibility and the mistrust it created in centralized exchanges. Since the smart contract is self-executing, it automates transactions on the Level01 platform, enabling the delays in trades and funds withdrawal to be done away with. The efficiency created by blockchain reduces waste. This has the effect of reducing cost of transaction and charges during execution of trades. Taking advantage of machine learning, the project has created a user-friendly peer-to-peer derivative exchange that rates entities based on history and proven statistics. The integrity of the system is faultless because of the tamper-proof attribute of blockchain. The Level01 App allows investors to trade free derivatives from many assets, ranging from Forex, Cryptocurrency, Commodities, Stocks and Indexes, unlimited investor opportunities. Live high-quality ticks with tick data are broadcast and displayed in an entirely informative interactive chart; with many analytics tools and diagrams for more advanced users. This app has an exclusive user interface that makes it simple and efficient to peer to peer trading with other investors on Level01 Exchange. Applications are integrated with Ethereum blockchain, allowing investors to fund contracts and trade transactions while maintaining full control over their wallet assets.